ports of the legendary Amiga arcade games. 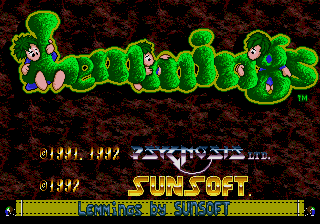 Lemmings is funny! Diffucult and a puzzleing thing! its a great addictive game! is a great funny game..its unsaul game but its great to play! 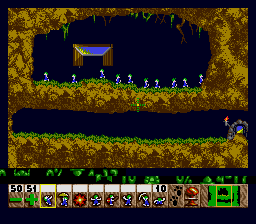 Truly one of the most imaginative games ever...and the lemmings have a cameo in Galahad! It's so cool! 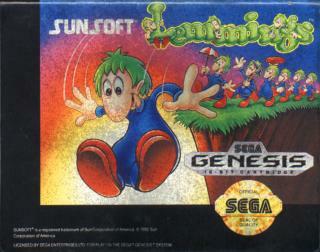 This is THE BEST Lemmings game ever made. There are multiple worlds, and best of all, at least 50 different skills (unlike the usual 10 or so) to assign to your Lemmings. Even the newer Lemmings games can't beat this one. I liked the first one best as it has a better feel to it than 'Tribes' which is only OK. There is a hidden little game in this one, its where your subconscious takes over and decides to make as much mess and destruction of the scenery of the level while watching those little 'Lems' pop.